Many parents wonder what the purpose is of taking their child to a kids’ dentist. After all, a dentist who treats adult patients can also treat pediatric patients. However, it’s important to understand that pediatric dentistry is indeed a distinct field in oral healthcare. 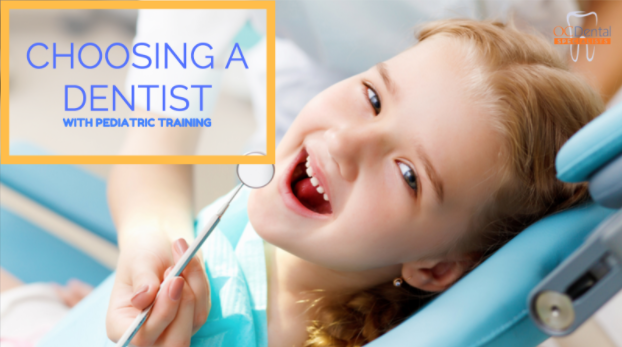 Training is the biggest difference between a dentist who treats patients of all ages and one who works primarily with children. Pediatric dentists attend dental school for an additional two years to gain in-depth understanding of oral healthcare development in children and adolescents. Many in the field of pediatric dentistry have received specialized training to work with children who have special physical, emotional, and cognitive health needs as well. It can be overwhelming for children to visit the dentist, especially for the first time. The equipment is large, they don’t know what it does, and a strange person is looking in their mouth. The younger your child, the less he or she will understand the reason for going to a pediatric dentist. Our staff gains your child’s cooperation by first earning his or her trust. We speak in plain language, engage your child, and make the environment as kid-friendly as possible. You’re welcome to remain with your child throughout the appointment to provide extra reassurance. Pediatric dentistry school teaches future dentists how to evaluate and monitor a child’s oral health over several years. When you bring your child to O.C. Dental for regular check-ups, his or her pediatric dentist monitors the loss of baby teeth and the eruption of the permanent teeth. Our dentists can tell from an early age whether your child is likely to need braces in the future. This allows plenty of time to create the optimal plan for orthodontic treatment.